The first step for people looking to sell or buy a home is to complete an online search. This is a trend that’s growing among millennials and older generations alike. In fact, a full 90% of people interested in completing a real estate transaction are looking online for agents to help them. This means there are a lot of clients out there, but you have to find a way to stand out to them. Otherwise, you’re pretty much leaving money out there for your competitors to grab. So, how does a single real estate agent stand out in a place as big as the internet? Your posters and business cards are great, but you have to use some local SEO strategies as part of your marketing. This is where the true turnover will happen. 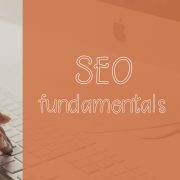 If you’re new to SEO or don’t even know what it is, this article will help you tremendously. Keep reading and we’ll tell you how to use SEO for real estate. The main point of utilizing local SEO strategies is to optimize your website so that your business is among the first to appear when a potential customer Googles a service or business like yours. In this case, the business is real estate. You are competing with all the real estate agents in your area. 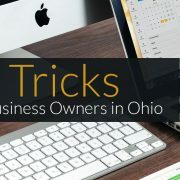 If you don’t use local SEO techniques, you can miss out on locking down the trust of new clients and generating the revenue that comes with them. The restaurant that showed up in the top position of that search had the best local SEO ranking. This may not seem like a big deal, but it is. Allow us to explain further. When people do searches like these on Google or Bing, they rarely scroll through their findings. More so, they hardly ever click to the second page of search results. In one survey, a solid 75% of people admitted to this. Searches like these are more common than any other online search method. They are even used more than social media by 300%. Now that you understand why local SEO is such a big deal, you’re probably wondering how you can apply it to marketing your real estate business. A local SEO consultant can definitely help you. But believe it or not, you don’t have to be a marketing genius to get the local SEO game down pat. Here are some best practices you can start implementing today. It’s easy for your content to be overlooked on the internet. After all, new websites are popping up every day. The internet has become the number one marketing tool for professionals of all types. You can keep yourself from getting lost in this shuffle though. 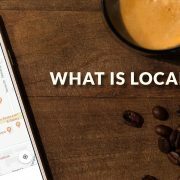 To start, you need to understand why you should specifically use local SEO and not just general SEO. General SEO strategies will help you catch the attention of internet users worldwide. This overgeneralization is a marketing mistake many business owners make. If you are operating an online store that sells items that are easy to ship like hats, attracting customers in different states or even countries will be a smart move on your part. But real estate doesn’t work that way. You will typically want to reach people in your town or even the next town or two over. But trying to do business with clients in other states and countries won’t be beneficial under most circumstances. 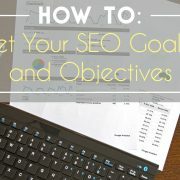 So, the first step in generating your SEO plan is to gear everything you do toward attracting local clients. If you are strategic about the keywords you use you will stand out against competing real estate agents. Keywords are known to change by location, so it’s important to see which ones your customer base are most likely to use. Once you know which keywords are strongest, you can design the pages on your website and your advertisements around them. A good place to start is to use keywords that are representative of the location you’re working in. Also, what actions are your ideal clients wishing to take? Are you a buyer’s agent or seller’s agent? These factors should all be taken into consideration, but you should also find out what other agents in your area are using to drive attention to their sites. Is there a common keyword? There are tools that will help you do your keyword research. This way, you won’t spend hours upon hours spying on your competition trying to see what works. Try using the Google Adwords Keyword Planner which is 100% free. It can help you find the keywords that will do best based on searches in your local area. Regardless of a page’s location on your website, the headlines used on it will always show up in search results. This is one of the most important places to put the keywords you find. Additionally, the placement of the keywords you use in your title matters. The closer the keyword is to the beginning, the better it will perform. When you post content on your website, you aren’t trying to sell yourself to new customers. You’re solidifying your authority and expertise as in your field. A potential client may Google something like “How to interview a real estate agent” or “Tips for pricing my home.” If your website comes up with the helpful content the person was looking for, they may contact you directly for more questions or advice. This initial contact proves the person’s interest and can make it easy for you to convert them into a paying client. 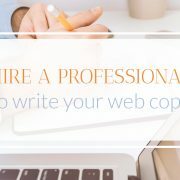 If you aren’t the best writer, you can work with a freelancer who can help you build blog content. 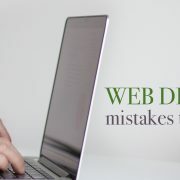 Also, keep in mind that as time goes on, certain information that was previously published on your site can become outdated and lose its relevance. To keep yourself ranking high in your local SEO, you will have to look over your content every once in a while and update information that is no longer true. Especially, if it pertains to real estate laws or guidelines. 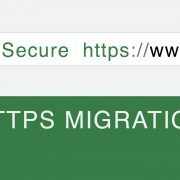 There are plenty of websites and business directories that your contact information might be published to without you realizing. You need to search for yourself on platforms like Yelp, Google Maps, Superpages, and Google My Business. Not only can past clients leave reviews on these pages that can potentially influence new clients, these sites are free advertising channels for your business. Make sure all of your contact information is up to date and consistent across all these platforms. 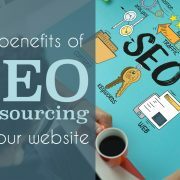 Doing so will help your local SEO and ease any suspicions potential clients can have about your credibility. Also, make sure you are claiming your business on these sites and link your website to them. You should have your bio listed on a few websites including Trulia, Zillow, and your brokerage’s site. If you aren’t optimizing your bio on these pages, you’re missing a very simple, yet potent SEO opportunity. Not only should your location be listed, but you should optimize your name too. When people are shopping around for real estate agents, they will certainly Google your name. This is especially true if they’ve seen your advertisements around town, heard about you from a previous client, or are trying to choose between you and another agent. You should also be using your bio pages to share your contact information and a direct link to your website. Using SEO for real estate is one of the best ways to thrive in your area. When you start using the methods discussed in this article, you will begin to see a change in the way your advertisements are received. Follow our site to keep yourself up to date on new SEO and marketing practices. And don’t hesitate to contact us with questions.